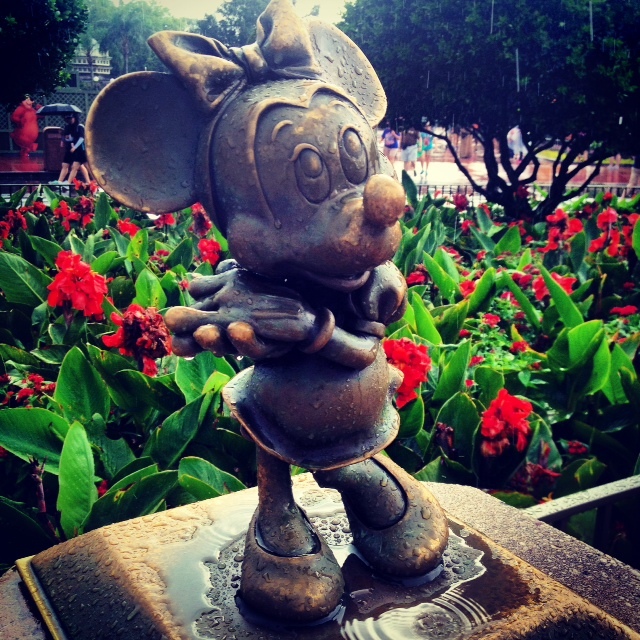 Ten Things To Do When It's Raining At Disney! Ten Things to Do When It’s Raining at Disney! Florida’s weather is unpredictable. One minute it’s so hot you think you have traveled to the equator, the next minute it’s pouring so hard you’re unsure if this is rain falling or hail. 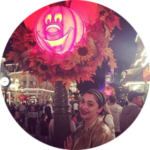 For many who have travel plans to Disney during the late summer and fall, you may find yourself stuck in the middle of the most unfortunate and miserable weather at the Happiest Place on Earth. No need to cancel your fastpasses, there is plenty to do at Disney, so grab your umbrellas or don your Mickey Poncho for this blog is about to make rainy Disney days your new favorite way to tour the parks. 1. Take advantage of the fair weather fans, literally. When it rains, many people call it quits at the park; especially when it’s a torrential downpour. Make their mistake your gain. Throw on some rain gear to beat the lines at some of your favorite rides. If you don’t have any packed in your suitcase, Disney hotels often have those signature Mickey or Park poncho’s which are helpful to keep you somewhat dry. Umbrellas can also be purchased at local Orlando stores. You can conveniently hop in an Uber, Taxi, or take your rental car to the nearest Walmart, Target, or even Dollar Tree to pick up some rain gear. The indoor interactive theme park closes its doors on July 2, 2017, but if you have any upcoming plans to visit Disney that are derailed by inclement weather consider spending a day immersing yourself in Classic video games like Pac-Man and Donkey Kong. DisneyQuest also offers a Pirates of the Caribbean-themed adventure that makes you feel like you’re sailing with Captain Jack Sparrow, or you can design and experience your own roller coaster with CyberSpace Mountain. Trust me, there is much more to this gem, but you only have a limited time left to experience it. Oh the irony of an indoor performance by Cirque du Soleil (which translates to Circus of the Sun), when you’re trying to hide from the rain. Sadly, this is another Disney staple which is unfortunately taking a final bow later this year on December 31, 2017. Located at Disney Springs La Nouba has been around for 19 years and over 8,500 performances. The show will come to a close at the end of this year. However, there is plenty of time to catch it before it’s gone. Be sure to check availability for tickets to the 90-minute show, which plays most Tuesdays through Saturdays at 6:00 PM and 9:00 PM. Along with somewhat empty parks comes somewhat empty lines to meet some of your favorite Disney characters. Many meet and greet opportunities take place under overhangs, in gazebo’s or indoors. Prime places to stay dry and get some excellent photos to cherish for years. One of my favorite activities rain or shine is to take the monorail to the hotels that are on the line, The Grand Floridian, Polynesian, and Contemporary. During summer months there isn’t much going on décor wise to see, but many resorts have exclusive shopping opportunities, dining experiences, and generally pretty places to take shelter from the rain. If you’re over 21, try some signature cocktails at each hotel. The Grand Floridian often has a pianist in the lobby playing Disney tunes, or if you’re have an evening crawl, there is a full band playing. Mingle with the Cast Members, have some tea at the Grand Floridian, or take in a luau at the Polynesian. There is nothing like a little retail therapy to cure the bad weather blues. When the parks are flooded but the guests are scarce, take the opportunity to shop some of the stores that line Main Street, or Hollywood Boulevard, and even Disney Springs. Feasts for all! If you’re quick you will find that on rainy days Disney dining reservations become available because certain kinds of guests don’t wish to venture to the parks or out of their hotels and brave the unpredictable Florida weather to sit in a restaurant only to have to trek through more weather back to the car. If you are lucky those guests will cancel their dining reservations and you can scoop up a great opportunity to dine at often highly booked locations in all four parks. Not a bad reason to scan your weather app for pending showers and your MyDisneyExperience app for last minute reservations! Water is water, and when you’re soaked, you are soaked. Might as well just roll with it and ride all the water rides while you’re already drenched. Pack up your poncho, you won’t be needing it anymore and just let the summer Olaf DNA cool you off on a hot summer day. When the weather won’t let you do much of this list, or you’ve already done them all, the number 10 on the list of recommended things to do is Just Relax. You can go to your favorite park, with your favorite book; don’t have one? Here’s a bestseller recommendation- a little book called Moving to MainStreet is sure to delight you. Find a nice dry spot where you can sit and get some reading done. The Train Station on MainStreet may not be totally quiet, but it’s a nice place to sit and people watch. You’re on vacation, so do what vacationers do; RELAX!